Since 1996, Bluehost has been doing only one thing, but they’ve been doing that one thing well: offering shared hosting services to their ever-growing client base. It then comes to no surprise to see Bluehost’s name constantly included in lists of best web hosting companies or to learn that they boast over 20,000 new customers every month at the moment. If you’re planning to launch a small to medium sized website, Bluehost might be based out of Utah, but it is one of the most reliable host you can find for your website in Canada. BlueHost offers a single web hosting plan. Over the years, they’ve refined to make sure it suits the needs of most people wanting to host a website online. In terms of unlimited features, it includes disk storage, domain hosting, POP3/POP3 Secure E-mail support, IMAP/Secure IMAP E-mail support, forwarding E-mail Accounts, Site transfer, add-on domains, parked domains, subdomains and many more. They offer the cPanel control panel with FTP and SSH access included, in addition to many other features, such as, for example, hotlink protection, log files and site statistics. All the popular CGI and databases are included (mySQL, PHP 5, Perl 5, Python, etc.). Moreover, they offer free scripts and e-commerce features (like a variety of shopping carts), and multimedia features. In short, BlueHost’s shared hosting plan is packed with goodies that will suit the needs of the majority of web owners. BlueHost definitely likes to keep things simple. They have one plan, but they allow you to save on the price if you sign up for longer terms. *The PRO package offers a web hosting experience that is faster, due to the use of Pro servers, more powerful, due to an additional allocation of resources for your website, and more secure. It also provides more free upgrades. Also, SiteLock Domain Security and Site Backup Pro features are each available for an additional cost of $12.95 per year each. For many years, BlueHost focused its business in offering shared hosting service. It recently decided to offer reseller hosting as well. Canadian resellers can now use BlueHost to offer hosting to their own clients. The features offered are similar to their shared hosting plans. All reseller plans come with unlimited domains, subdomains, cPanels, MySQL databases, FTP accounts and Email Addresses. Resellers also benefit from private nameservers, and a bunch of free stuff – Billing System, Spam Protection, Website Builder, SimpleScripts and multiple languages. 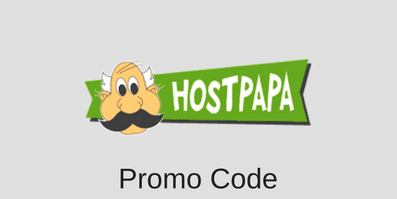 Click this link to get a 50% discount on a web hosting plan at BlueHost. You will also receive a free domain name in addition to the other features offered by BlueHost.com. Without a doubt, Bluehost is one of the cheapest web hosting you can get, for the quality you get in return. BlueHost specializes in shared hosting. That’s it, that’s all, although they have recently started offering reseller hosting plans for individuals looking to get in the hosting game. That said, if you think that your website will eventually require more robust hosting options, such as a VPS or a dedicated server, other hosts like HostGator or LiquidWeb might be more appropriate for your needs. If not, BlueHost is an excellent choice for hosting your personal, niche, or small business website. Signing up is quick and simple, and involves a two steps process. To sign up, you only need to visit BlueHost.com. We give BlueHost 4 stars out of 5. This entry was posted in Web Hosting Reviews on October 27, 2011 by WHR.